Vintage Visuals is committed to providing an authentic looking original Holmes style stereo product using modern technology. 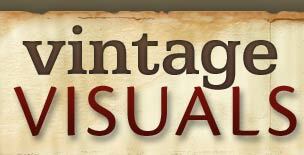 Doug McGovern is the proprietor and operator for Vintage Visuals. His responsibilities include photographer, printer, producer, distributor. He also walks dogs (1). Doug became interested in stereo vision while doing research on remotely driven vehicles. 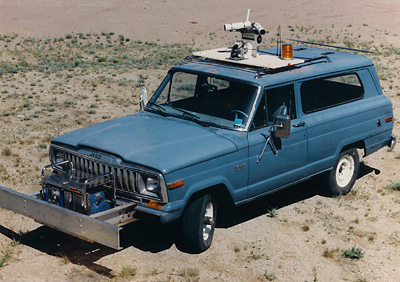 In these systems, a remotely driven vehicle is equipped with actuators and television cameras. An operator at a fixed base “looks” using a video link and “drives” using commands delivered via a radio link. Doug and his colleagues found that you could drive on smooth, clean roads using a single TV camera. It was very difficult, however, to avoid “negative obstacles” (pot holes and drop-offs), to recognize slopes, and to control the vehicle on all but the most simple paths. Adding a second camera allows the operator to view the terrain in stereo so that depth and contours could be readily identified. This gives enough additional information to the operator so that operation in rough terrain is possible. Stereo photography provides similar improvement in understanding images in other fields as well. 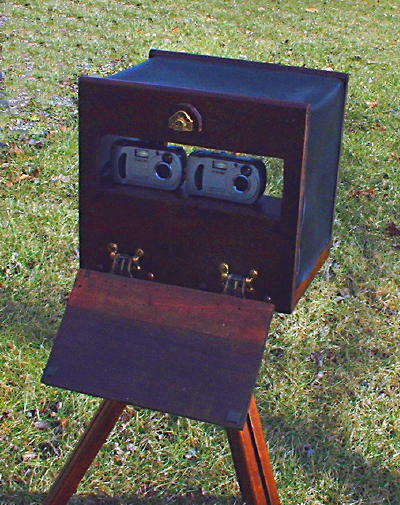 Compared to a single, flat photograph, a stereo picture adds depth and clearly shows terrain features. 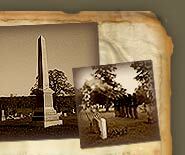 Doug recognized the utility of this depth feature in photographing Civil War battlefields (another of his hobbies). Key features of a battle often depend on the terrain. A single picture usually shows trees, brush, and some green or brown earth. 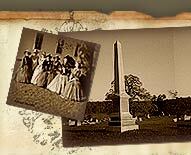 With a stereo photograph of a battlefield, the roads, paths, stream beds, and hills stand out. You can “see” the terrain as real, rather than as a flat picture. You can truly separate the forest from the trees. Stereo views of machinery, scenery and people show similar clarity and realism. 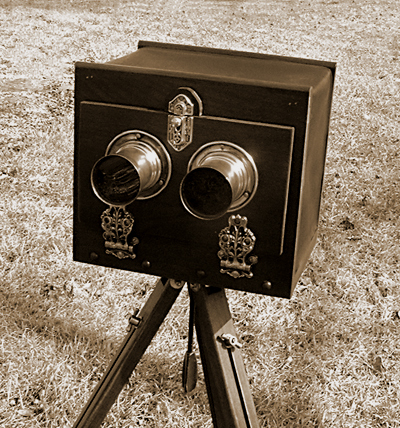 Stereo photos grab the viewer, giving a large “WOW” factor. After experimenting with the power and versatility of stereo photography, Doug decided that others might be interested as well. 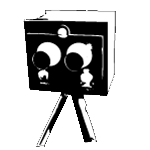 Thus was born Vintage Visuals — a company specializing in producing and providing stereo pictures. Doug is a real Doctor, having earned a PhD in Mechanical Engineering from Stanford University. 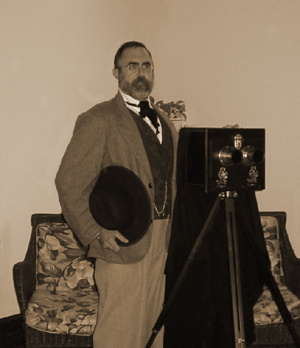 The camera, however, is only a mockup of an 1860s vintage camera. The entire front folds down to expose two digital cameras as the technological heart of the system. (1) Robert A. Heinlein, "—We Also Walk Dogs", first published in "Astounding Science Fiction" (July 1941 as by Anson MacDonald), collected in The Green Hills of Earth and The Past Through Tomorrow.